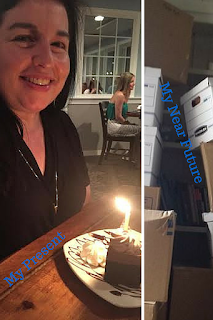 My birthday was Thursday and it is once again a point of transition for my family and me. Last year I was up in Washington DC attending my Georgetown Reunion and then attending an E*Formation Conference at Virginia Theological Seminary. It was a wonderful trip in which I saw friends, visited museums, reconnected with Georgetown and then learned a great deal about how to use social media in my work. It was also a time of moving and settling into work. Right before we left, we moved out of temporary housing and into the home we have rented the last year. I had just signed the contract with the congregation to stay for the year. One year later and it has been quite the journey. It has not always been easy and there have been challenges that I did not know I could survive. Yet here I am. I have been blessed to serve a wonderful group of people. 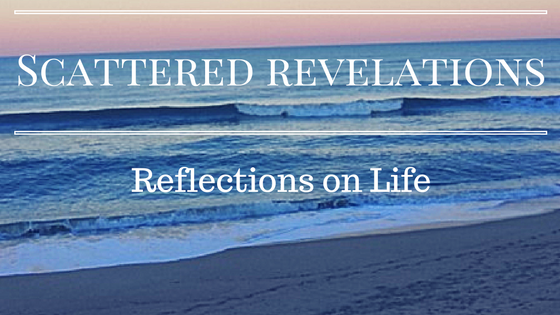 I have been privileged to preach, be present at the bedside of one who was dying, visiting others while they were sick, officiated a few memorial services and connected with the community of the Outer Banks. I have also done work I could not have imagined myself doing. I worked part-time as a cashier at Food Lion. I had not worked a retail job since my sophomore year of college and did not have any experience as a cashier in a grocery store. I found that I was good at it and I liked it. I learned that while I do love time by myself, I need time with people. I need to be with them, talking with them, working with them. I was praised for the excellent way I worked with customers. I could never have imagined that I would be doing this work let alone enjoying it. I also have been working with a makerspace. I love working for the makerspace. The mix of start-up, tech and making are wonderful. Right now I am working on my first ever Indiegogo campaign. A discovery I have made is that I want technology to be part of my work if not at the heart of it. So at this time this year another crossroads, another transition. My contract with the congregation comes to an end in June and the house we are renting is going to be sold. June will bring a move and new work. I am currently looking for a new job. I have decided I will no longer be working in a congregation or for a particular faith community. I am looking for a position that will use my skills - program development and management; public speaking; facilitating; social media management and writing in either a non-profit or for profit organization. I am ready for a new career using the skills I love using the most. We are planning a move to Richmond, VA and I am very much looking forward to being in a city. I am looking forward to a new job, a new place to live and settle into for the long term and then allow other interests to emerge. I want to start an alumni chapter for Georgetown in Richmond. I want to join a book group. I am going to be seeking out a spiritual community and I am not sure where that will be yet but one I will be exploring is Judaism. Why Richmond? We love Virginia and my spouse is from there. It is a good size city with a wonderful art museum the Virginia Museum of Fine Arts, a great science museum, It is a diverse city including religious diversity. It has a growing economy including technology. It is also a very affordable place to live. It is only two hours from DC and an hour from Williamsburg where we have close friends including our daughter's best friend. It feels to us like a place where we can settle down and put down deep roots. It also doesn't hurt that it was voted happiest city. We have been temporary for far too long. One thing I do need right now is connections and networking for a new job. I have some job leads but really it is through personal connections that jobs are most likely to be found. Here is a link to my resume. Maybe you know a great company that could use someone like me to teach or talk to people about their product or teach people to use it. Maybe you know of a great position in interfaith dialogue, service learning, diversity or admissions at a college or university that could use someone with my skills. Maybe you just have a friend in Richmond that might be able to help with some temporary work or housing. One thing I have learned over the past year and half is that none of us does this alone. My job at Food Lion came to be because a friend went there and advocated for me. The makerspace job came because a person saw my potential and brought me on-board. I am quite sure that my next position will come because I connect with the right person. It has been an incredibly transformative year. I have learned a great deal about myself and what I am capable of doing. I also have many people to be grateful to for getting us through this year. My family would not have made it if not for the financial, emotional and social support of friends. Literally they kept us going. I look forward to a day when I can pay that forward for someone else!